Are carbos good for athletes? Although Speed Skating had started becoming popular across the world after 1763 when the first ever Ice Skating club was formed: The Skating Club of Edinburgh and it organized a few races, more organized Speed Skating events/races were seen in the 19th century. The first organized international speed skating race was organized in 1863 held at Oslo hosted by Norwegian dubs and had decent number of spectators compared to other sporting events of that time. In 1884, Amateur Skating Championship was organized in United States that totally ruled by the Norwegian skater Axel Paulsen. World Championship in Speed Skating originated in a sports club in Amsterdam where an ice-skating even were organized with participants from various countries Russia, United States, United Kingdom and Netherlands. After the International Skating Union (ISU) was founded in 1892, World Championships became regular besides two World Championships in 1890 & 1891 organized by the Nederlanse Schaatsrijderbond. ISU had organized 25 World Championship after 1909 and efforts for including Speed Skating in Olympic Games were consistently put by several promoters and lovers of the game. After going through several changes in formats, game style & championships, Speed Skating has got a place in Olympics in 1992. 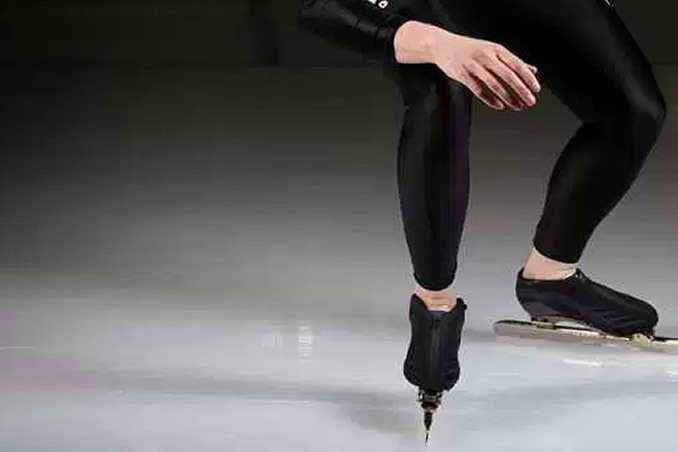 For Men skaters a) 3000m, b) 5000m and c) 10000m, but several other distances are sometimes skated. a) Sprint: Complete race has 500m, 1000m, and 500m and 1000m tracks and is used in the World Sprint Championships. b) Mini: Complete race has 500m, 1000m, and 1500m and 3000m tracks and was used in the previous World All-round Championships for Women. c) Small: Complete race has 500m, 1500m, 3000m and 5000m tracks and being used currently in the World All-round Championships for Women. d) Big Complete race has 500m, 1500m, 5000m and 10000m tracks and being used currently in the World All-round Championships for Men. Marathon: This is very rarely organized event, being held in large skaters group, and has a skating track of 40-200Km depending on the track conditions.